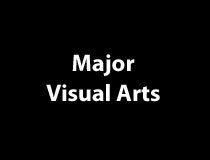 The Department of Visual Arts offers four programs that respond to your various interests and needs: a Bachelor of Fine Arts (BFA), a Major in Visual Arts, as well as a Major and a Minor in History and Theory of Art. Our programs take you on an exploration of the visual arts, with a special emphasis on contemporary creation. Both programs include compulsory practical and theoretical courses that encourage both creation and reflection. The Department provides photography and media art labs as well as painting, drawing and sculpture studios. In the heart of Ottawa, you will also have access to a wealth of artistic venues such as the National Gallery and the Ottawa Art Gallery. In addition, you will train under the guidance of nationally and internationally recognized artists, curators, art historians and theorists. While maintaining its focus on traditional disciplines (drawing, painting, sculpture and photography), the Department also helps you discover the use of new media and technologies in the visual arts. What can I do with my studies in Visual Arts? 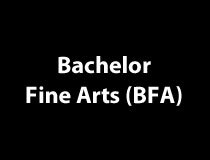 The four-year Bachelor of Fine Arts (BFA) is geared to original forms of expression associated with artistic production in the new millennium. While maintaining the traditional disciplines (drawing, painting, sculpture and photography), the Department also extends its teaching to new technologies (media arts). This program is composed of practical (studio) and theoretical courses (in the History and Theory of Art) that encourage both creation and reflection on the Visual Arts. This is a fundamental program that prepares you for a career as a visual artist or within other cultural industries, such as museums, galleries as well as governmental, provincial and municipal agencies. The Major in Visual Arts allows you to have the same range of course experiences as the BFA– including compulsory practical and theoretical courses but offers a greater number of electives, so that you might pursue a broader range of interests. Majors can combine their degree with either a Minor or a second Major. It is an excellent preparation if you wish to pursue careers in such fields as Fine arts education, project or communications officer in artistic organizations, artist agent, conservator or curator. 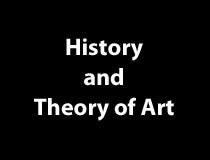 The Major and the Minor in History of Art provide you with a solid foundation in the history of art, with a specific focus on contemporary art practices. The programs will provide you with a solid grounding in the history of art and an awareness of current critical discourse. Course offerings focus particularly on twentieth century and contemporary North-American and European art practice and theory. The programs revolve around an interdisciplinary approach to art production and focus on several theoretical methodologies (historical, post-colonial, feminist, etc.) and on cultural studies. Graduates can look forward to careers not only in the arts sector but also in education. The Centre is an on-campus one-stop shop for information on opportunities in Ottawa and around the world. It also provides support to members of the university community who start their own community engagement initiatives.